Contact us for a free, no-obligation estimate. 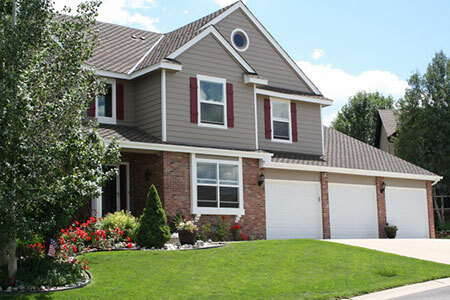 We are locally owned, professional house painters who treat our customer's homes like our own. Give your cabinets a brand new look. 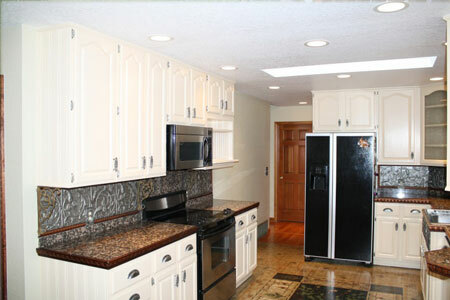 We can help restore your cabinets with new stain or paint to make them look brand new. "Crew leader was outstanding. The whole team was very professional. We couldn't have been happier with how the project turned out." "We loved working with Tall Pines! Bryan was great to work with, he's professional and personable, necessary traits for a successful project! Bryan was very prompt scheduling our initial meeting, he was extremely helpful answering questions and offering recommendations. Bryan's teams were very respectful of our home, flexible with our schedules (we have three little kids), and extremely thorough with their work. " "I've really enjoyed working with Bryan, Ricardo and Jorge. What a professional and creative team! Tall Pines did a great job of prepping our home, and then painting it. They were able to do a tremendous job in brainstorming how to patch and paint and old area of siding that had been damaged. Fantastic! We have never had a painting company that we have been more satisfied with HIRE THEM! Thanks again!" "Very professional interactions with the vendor. Once a date was set, they completed it as promised and did a great job." 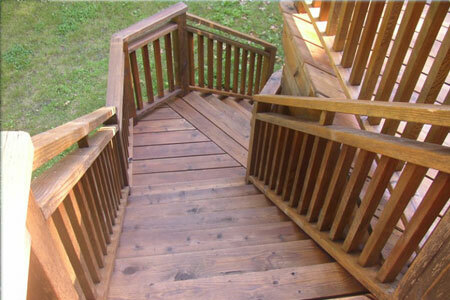 "Punctual, prompt, laid down covers on all furniture, cleaned up after finished, worked quickly. Terrific job!" "We had an excellent experience. We met prior to start of work and discussed the details so that each of us had a thorough understanding of the work to be done and how it was to be accomplished. Bryan Kelly and his entire staff were professional, punctual, polite and easy to work with throughout the project. They explained everything in detail and answered all questions. The work done was excellent and exactly as we had agreed upon. It was a wonderful experience and we look forward to a long and mutually beneficial relationship with Tall Pines Painting, Inc. We would recommend them to anyone for their professional painting needs." "Bryan and his team are amazing -- professional, courteous, timely and respectful. They were on time every day, and honestly, just got right to work! They kept us posted as the project progressed and did 2 walk throughs when we were done to make sure we were 100 percent satisfied. (I'm happy to say we are!) I would not hesitate to recommend this company for this service -- they are absolutely top shelf." "The entire team of painters at my house was courteous, respectful and super nice to my children. I really appreciated that. I would recommend Tall Pines and use them again without question." Click icon below to read our customer reviews.